Melt ghee in a medium stockpot. Bring to a medium high heat. Sauté finely chopped onion over medium high heat until golden and add Turmeric, ginger and cumin. Mix gently together. Stir in the saffron and the Arborio. Bring the water to a boil on the stove or in a kettle and set aside. Sauté above ingredients for a few seconds, then add 1/4 cup water to slow cooking. 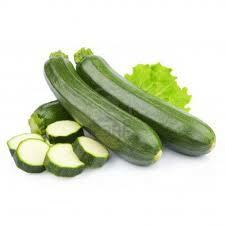 Add cubed zucchini and chopped asparagus, the lemon pepper and sauté lightly, mixing the contents of the pot well. Add 3 cups of water and bring to a boil. Cover and reduce heat to a medium simmer. Add remaining 2 cups of warm water, 1/4 quarter cup at a time, stirring frequently as the rice mixture absorbs the liquid. Stir in the juice of the lemon and 1/2 tsp. of salt. The absorption time is approximately 25 minutes, which may vary slightly according to cooking temperature. After the liquid is integrated and the dish is creamy as a good risotto should be, turn off the stove and allow the dish to set covered for five minutes. Add salt and fresh ground pepper to taste. Garnish with fresh chopped coriander. Serve with ground Pecorino or Parmesan on the side which can be sprinkled liberally over the top. Enjoy!